If you're up for hours each night dealing with the crawly, tingly sensations of restless legs, you may wonder what is causing you such anguish. Many questions still remain about restless legs syndrome (RLS), also called Willis-Ekbom disease, and one of these questions is if it is a symptom of thyroid disease. To understand how RLS may relate to thyroid disease, it's important to understand both diseases and how hormones play a role in each of them. Women online are seeking help with RLS and the possibility of having thyroid disease. "I'm just curious if anyone here (especially the women) has been diagnosed as having low thyroid or has symptoms of low thyroid with normal blood tests? My thyroid tests came out normal, but I definitely have low thyroid symptoms. Thanks!" "I was diagnosed with low thyroid in Sept. 99 after having my daughter. I now suffer periodically with the leg thing. Keeps me up for 2 to 3 hours sometimes. I bet there is a connection with thyroid and RLS." "My restless legs showed up after being on birth control pills for only a few months. It's my theory that the estrogen in the pill suppressed my thyroid (even though I have normal thyroid blood test). I have read that hormone fluctuations, especially female, can cause RLS, and that is why a lot of menopausal women get RLS." In the discussion you read above, the women discuss two of the most common reasons why hormones may change - pregnancy and birth control pills. Estrogen levels have changed for these women, and the change is that they now have too much of it, also referred to as estrogen dominance. Too much estrogen can lead to magnesium deficiency and vitamin B deficiency, according to Dr. John Lee. A deficiency in magnesium causes muscle tightening and that causes people to experience the leg spasms common in RLS. The deficiency in vitamin B can cause neurological problems, which is what causes the creepy, crawly sensations. Estrogen dominance is not only one of the causes of RLS; it is also one of the many causes of thyroid disease. The high levels of estrogen lead the liver to overproduce thyroid-binding globulin (TBG). If TBG levels are too high, thyroid hormones bind and this reduces the amount of free thyroid hormones flowing in the blood. The free flowing hormones are the ones that the body uses and if there isn't enough in the blood, the body can't use them. The reason why some women receive normal test results for thyroid hormones is because the thyroid is producing an adequate amount of hormones. The problem is that the hormones aren't being used efficiently because of the estrogen dominance binding them, making them useless. So how does RLS and thyroid disease relate to each other? They basically are two diseases that have the same cause. If you have estrogen dominance, you may have restless leg syndrome and you may have thyroid disease. However, just because you have restless leg syndrome doesn't necessarily mean you have thyroid disease. 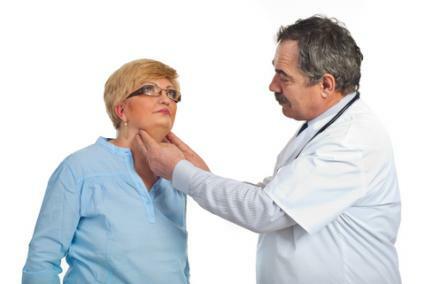 Are you experiencing the symptoms of RLS or thyroid disease? Talk to your doctor. There is treatment for both of these diseases that may help relieve some of your symptoms. If you have estrogen dominance, which can be determined by an evaluation by your doctor, you can receive help for this as well, which may resolve your RLS or thyroid symptoms.